The Missouri Bar was created in 1944 by order of the Supreme Court of Missouri. Its mission is to improve the legal profession, the administration of justice, and law. Through educational programs, publications, and more, The Missouri Bar serves as a valuable resource for members—and for the citizens of Missouri. All lawyers who practice in Missouri belong to The Missouri Bar. 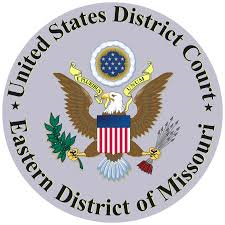 All policies and programs of The Missouri Bar are either developed or overseen by the bar’s Board of Governors, a 45-member group of elected lawyers who represent the members in their districts. The role of the committee is to investigate the facts regarding an ethics complaint and determine whether there is probable cause to believe that the individual under investigation is guilty of professional misconduct. The committee then makes recommendations regarding the complaints, which are passed on to the Office of Disciplinary Counsel for formal action. The Region XI Committee covers those lawyers who practice in the St. Louis region. MATA was founded in 1951 as the Missouri Association of Claimants Attorneys (MACA) by a small group of attorneys from across the state who recognized the value of banding together to gain more equitable rights for their clients – the individuals who had suffered because of negligent acts often caused by corporate giants. MATA has accomplished a great deal over the years, including implementing a contributory negligence doctrine, responsibility for unsafe products, implementation of discovery, a decent wrongful death limit, the recognition of medical malpractice and mandates for intelligible jury instructions. Casey, Devoti & Brockland has been a proud member of MATA for several years. Casey, Devoti & Brockland has been a proud member of AAJ for several years. Martindale-Hubbell Peer Review Ratings have been the gold standard for attorney ratings for over a century. Attorneys looking to refer a client, as well as individuals researching lawyers for their own legal needs, use these rating to identify, evaluate and select the most appropriate and qualified lawyer for their specific situation. Martindale-Hubbell offers three rank levels based on an average of the scores provided by peer review, the rankings are: Notable, Distinguished, and Preeminent. Since 2004, Matt Devoti has been reviewed and ranked by his peers as ‘AV Preeminent’. This is the highest possible Martindale-Hubbell ranking and establishes that for over 10 years, Matt has exhibited professional excellence for his legal knowledge, communication skills and ethical standards. Super Lawyers is a rating service of outstanding lawyers from more than 70 practice areas who have attained a high-degree of peer recognition and professional achievement. The selection process includes independent research, peer nominations and peer evaluations. The Rising Stars list is developed using the same process used for the Super Lawyers list except the candidate must be 40 years old or younger or in practice for 10 years for less. Matt Casey and Matt Devoti were both named a Super Lawyer Rising Star in 2010, 2011, 2012. Anne Brockland was named a Super Lawyer Rising Star for Plaintiff Product Liability in 2009. Matt Casey and Matt Devoti have both been named Super Lawyers for 2013, 2014, 2015, 2016 and 2017. Anne Brockland was named Super Lawyer for 2013, 2014, 2015, 2016 and 2017. Avvo was founded to empower consumers to make smarter, more confident legal decisions. The AVVO site provides access to first-rate, personal and professional legal advice and information. It is a great starting point for consumers who need help with legal advice or need to find a lawyer in a specific practice area or geography. The Injury Board is an association of experienced trial attorneys practicing throughout the United States and the United Kingdom. Member attorneys are recruited based on their proven commitment to the four key areas the Injury Board believes defines the best of our profession — Relationships, Leadership, Community and Results. Casey, Devoti & Brockland has been a proud member of the Injury Board since 2011. Partner Matt Casey helped rejuvenate a park in Denver during an Injury Board conference in 2015.